Especially if you would have a home listed for sale from 300K-500K–the Catalina Foothills homes for sale inventory is extremely low. It is always a great time to list your home for sale when there is little competition. Give me a call at 520-615-2598 or email me at Donna@DonnaAnderson.com if you are thinking of selling your Sabino Mountain home! 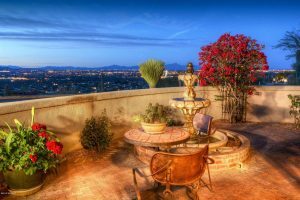 Twelve years ago I sold 4287 N Sabino Mountain Drive for $1,195,000 at the peak of the luxury homes market in the Catalina Foothills. Yesterday it went under contract with a List Price of 838K by Long Realty as it was listed at a very attractive price. This model-perfect almost 3,600 square foot Mediterranean is a great deal for the new buyer. This home boasts high Santa Catalina mountain views, two in-suite master bedrooms,large sitting area in the master bedroom, four full baths, front courtyard with multiple desert plantings and views of the Rincons and the Santa Catalinas and so many more features. I will post the final sales price. The buyers are extremely lucky to have snatched this great find! Several have changed listing brokers; all have shown reduced prices since they originally came on the market. Prices range from almost 375K – $1,150,000. Some will likely need further price reductions to attain a buyer. Two are priced to sell. It is always best to list your house at fair market value to begin with and if you don’t and have to keep reducing the list price, you are likely to net less than had you made the right price decision at the beginning. Having a seasoned real estate agent helps insure your home sells quickly at the highest reasonable price. I am a phone call away at 520-615-2598 or email me at Donna@DonnaAnderson.com. These days the Catalina Foothills sees few Short Sales and Foreclosures but we just had a Short Sale listing go under contract at 4195 N Boulder Canyon Place. This almost 3,700 square foot home boasts a hard-to-find casita. 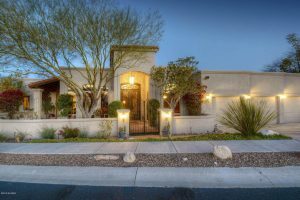 Other features include city and desert views, pool and ramada with outdoor kitchen. This Outpost built home with large great room that opens to the kitchen, dining room and breakfast area was built 15 years ago and sold for 523K at that time. The List Price on this house at the present time is 629K; I will keep you posted on the final sales price! 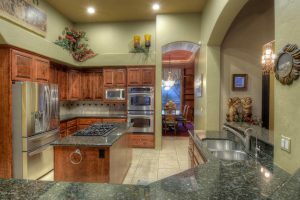 This one is listed by Keller Williams of Southern Arizona. You are currently browsing the Sabino Mountain Blog blog archives for April, 2018.